Over the space of a full day, you will create a unique piece of flat felt artwork approximately A3 in size which can be proudly hung on your wall or made into further projects. You will have a choice of over 100 colours and range of materials which includes soft merino wool tops, lustrous sari silk fibres, milk protein fibre, bamboo, nettle and many more. 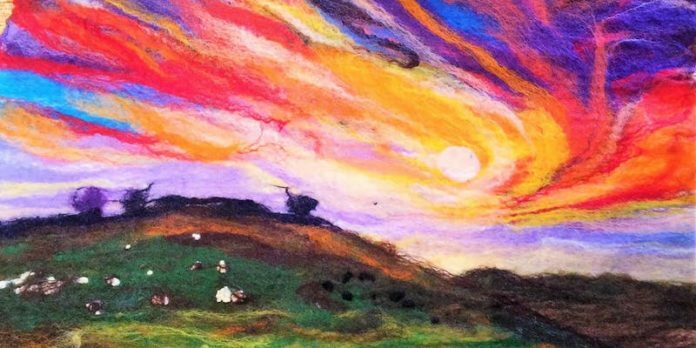 Under the tuition of textile artist Erika you will use this range of colours, textures and shapes to master the satisfying art that is ‘painting with wool’.